Headboards are fun to make and really can be made of anything. They can be temporary or permanent. Here are examples of custom headboards we made as soft furnishings. The first one even incorporates the window above it. I love sunlight and letting in as much light as possible. You’ll never find us pulling the curtains shut. That doesn’t mean a window has to be naked though. 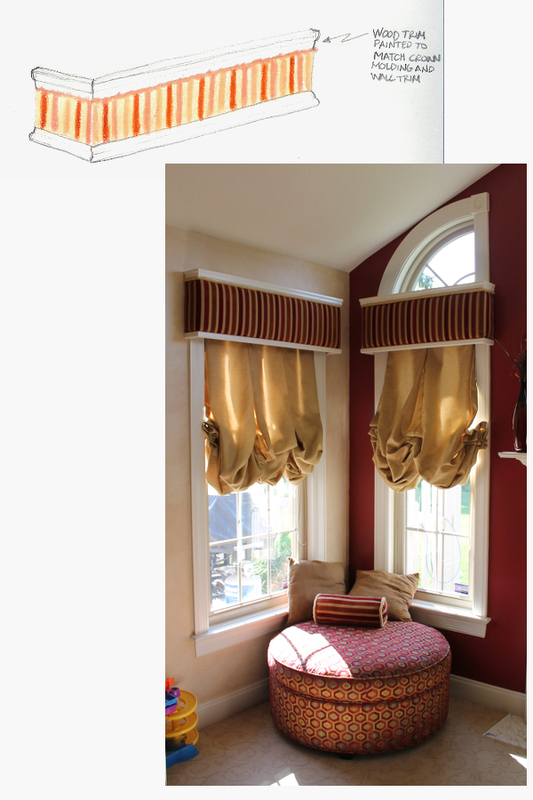 Window treatments are a great way to make a room look complete, finished, classy. It’s a great way to introduce texture and pattern. It’s also a great way to unite a room—by pulling all of the different pieces together. 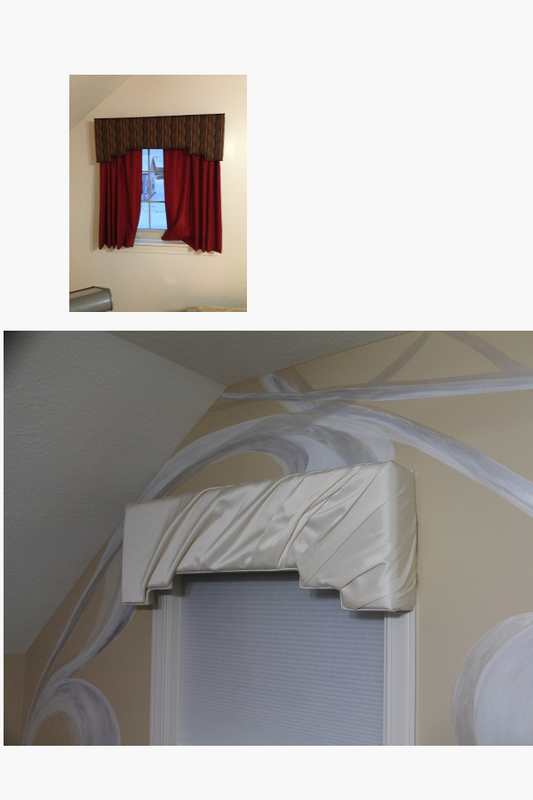 Here are some examples of cornices, valances, inverted pleat shades and roman shades that we’ve made. Sometimes it’s difficult to find exactly what you’re looking for in bedding. If you have the budget, going custom can make things easier. 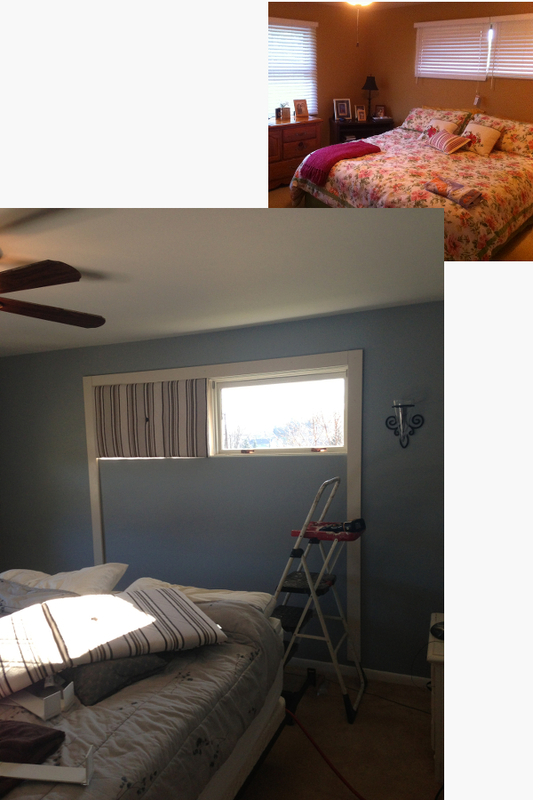 For this bedroom, we created the duvet cover, the pillows and the window treatments. 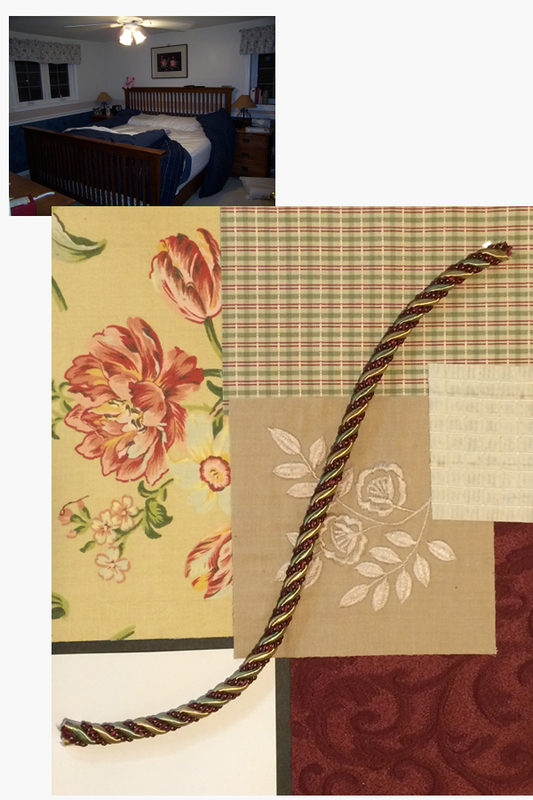 You can see how we were able to pull pieces of each of the fabrics and include them in the bedding and the window treatments. It unifies the room and gives a custom look. We did the same thing in this spare bedroom that was used as an exercise room, office and guest bedroom. Creating the futon cover, pillows and cornice allowed us to bring everything together with the special wall finish we created. 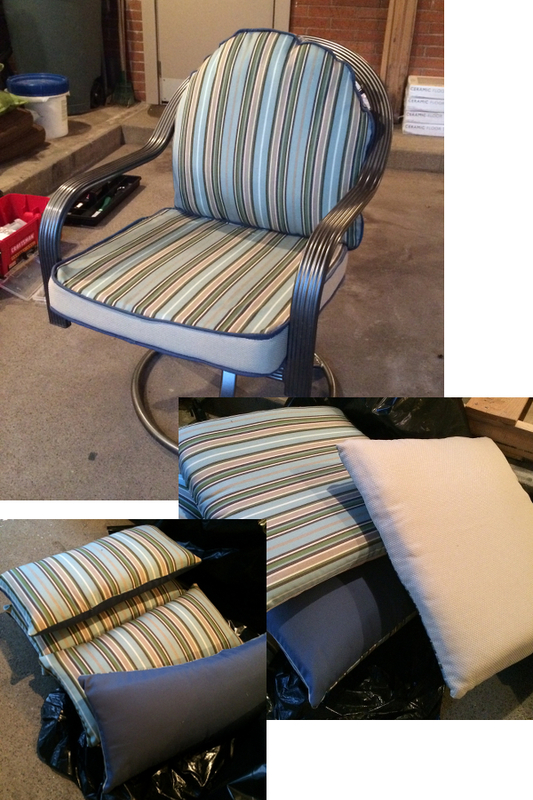 If we have fabric leftover from a project, we like to use it for home accents like pillows. Again, it gives a custom look and brings all of the pieces of the room together. Your house décor can be unified by little custom pieces like this chandelier chain cover and lampshades or built with larger items like these furniture pieces that we reupholstered.